William Sheepshanks, being a large landowner, settled and married in Harrogate around 1830. William Sheepshanks made the decision to build a new church building at Christ Church, which was originally built as a small chapel-of-ease, where his son Thomas was Vicar. Around the time when Christ Church was made a parish, William Sheepshanks decided to build St John's Church, Bilton for £30,000, which would originally serve as a chapel-of-ease to Christ Church. The patronage stayed in the Sheepshanks family until 1957, when it was transferred to the Bishop of Ripon and Leeds. 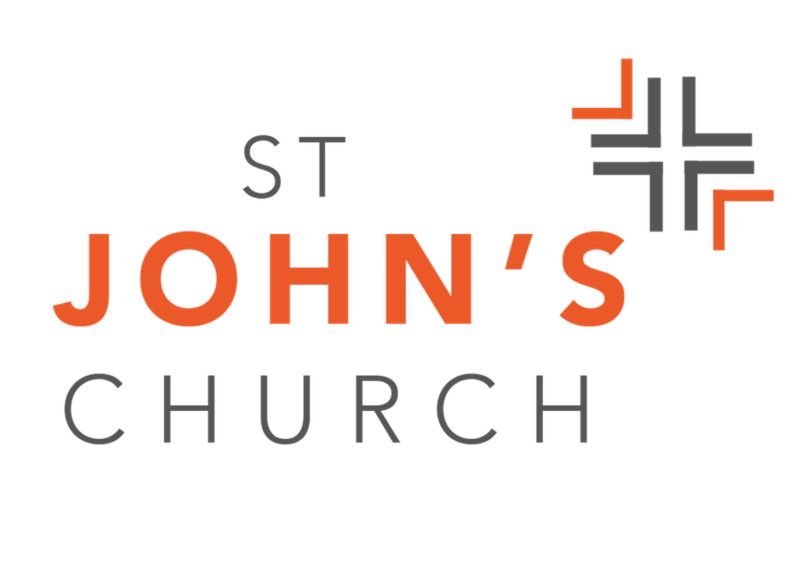 An annual endowment of £100 was paid to the incumbent of St John's, together with an annual payment of around £150 from the Ecclesiastical Commissioners, also a church repair fund of £200, these three payments all financed by Thomas Sheepshanks. The original Bilton Vicarage, now the Bilton Library, was built and owned in 1868 by William Sheepshanks as a school house and Sunday School. The building was eventually given to the Ecclesiastical Commissioners as a vicarage, and was sold in 1972 to the Harrogate Corporation for a library. The new vicarage was built in 1971 on the paddock. The architect for St John's Bilton was Sir George Gilbert Scott, and the church was consecrated on 12th November 1857 as a chapel-of-ease by the Bishop of Ripon, Dr Bickersteth. The Patron Saint of the church is St John the Evangelist, whose feast day is 27th December. The Parish was merged with the old parish of St Luke on 1st October 1996 to create a large parish with a population of around 18,000 people. The building of St John's Bilton started in 1851 and is built in Gothic style which was liked by the Victorians. The three storey tower with one bell was to have had another five bells added, but this never happened, as was the original intention to build a spire. No reasons can be found why the five bells and a spire were not added. Access to the church was made through metal gates surrounded by stone walls near the west and south doors. In 1938 the tower required restoration work where the floor beams needed renewing because of dry rot and boring insects, and these were replaced with flooring supported by steel joists, with the lower flooring joists covered in wood. The white limestone walls of the church became marked by snow in the 1947 winter. Roof water drainage became a concern especially in 1950, so Rev Pearson produced a report into the matter. Rev Pearson recommended better drainage and snow grates to be provided, and a member of the congregation named Mr Fred Wilkinson helped Rev Pearson in rectifying the situation. During the 1960's dry rot appeared as a result of a broken roof drain letting water on the foundations of the vestries and chancel, and roof repairs were also necessary. New floor beams were required, and with the overall cost of reordering monies were obtained from various sources. The six years of restoration and reordering began in 1967 when dry rot remedial work was carried out, together with wall surface treatment, removal of the main entrance from the south to the west door, the carved oak memorial screen was moved to the chancel archway, a new nave altar, the choir stalls were redesigned and together with the organ moved to the west end, a narthex made in the tower with oak panelling, the pews were replaced with chairs, and the coal fired system was replaced by oil fired heating. The foregoing was only a part of many changes made during this period. In the 1990's an office was built together with other facilities and an Upper Room on the first floor. Recent changes have included the installation of a ramp for disabled access to the communion rail, vestries, office and other facilities. New red carpeting has replaced the blue and grey carpets. It has now been decided to move the main entrance of the church back from the west door to the south door, and when this has been completed the Narthex will make a better meeting room. There is also a proposal for the east end of the church beyond the nave altar to become organised vestries and a meeting room. The churchyard was extended in 1889, and it was found in 1925 that a further extension of the churchyard was not possible because of rock being too near the surface. However since 1965 ashes are buried in land on the south side near to the chancel. BA Garden of Rest was constructed in 1965 at the end of the south drive being owned by the Church, but tended to by the Harrogate Borough Council. During the reordering of the Church, permission was sought from grave owners for the removal of kerbstones around graves to improve grass cutting, and where permission was granted the kerbstones were placed in the Church crypt before the new floor was laid. It was likely that the Sunday School originally met in the old vicarage, now the Bilton Library, then met in subsequent locations until a building was constructed especially for the Sunday School, which is now the Church Hall. The New Park Mission and Sunday School at Skipton Road was opened in 1884/85 by the Church, and became a Church of England Day School until 1897, for the benefit of the working classes and poor. This building was extended in 1914, but sold about 1970 when it became surplus to requirements, the sale money raised going towards the cost of St John's reordering. Fountains Hall was built at Fountains Avenue as a mission church to serve the needs of the housing development in that area. The temporary building was used by the church organisations, the Ladies Fellowship, playgroup, and the Sunday School. The Scouts and Cubs, however, have their own building in Fountains Avenue. A monthly communion service was held at Fountains Hall when the children were at Church Parade. The building was closed in the 1990's when it became surplus to requirements, and the organisations then moved to the Church Hall. This Church History is an abridged version taken from the book 'St John the Evangelist Bilton - A History' compiled by Felicity Hildred to mark the 150th Anniversary of St John's Church in November 2007, and produced with permission. Acknowledgments to Rev H. D. Pearson and other sources for material used in the text of 'St John the Evangelist Bilton - A History' are given in the book. The reopening of the south door took place in 2008, and a new east end meeting room was completed in 2010. The Bilton Library has vacated the original Bilton Vicarage and moved to Woodfield Road to become the Bilton & Woodfield Community Library from 22nd September 2014. By clicking I agree, you are giving your consent for us to set cookies.